Jon Jeet is of Maniapoto / Fijian Indian descent and has recently completed a Masters in painting at Ilam, School of Fine Art. His primary practice is portraiture, as it poses a constant challange to convey ones likeness in either charcoal or paint. As for pounamu, Jon has spent over a decade honing in this craft, carving taonga, a treasured keepsake generally worn and regarded by the wearer(s). He finds that both mediums are complementary, as both encapsulate the mauri (essence) of ones being; either as a snapshot with of course artistic licence or a vessel to retain and harbour part of ones life force. 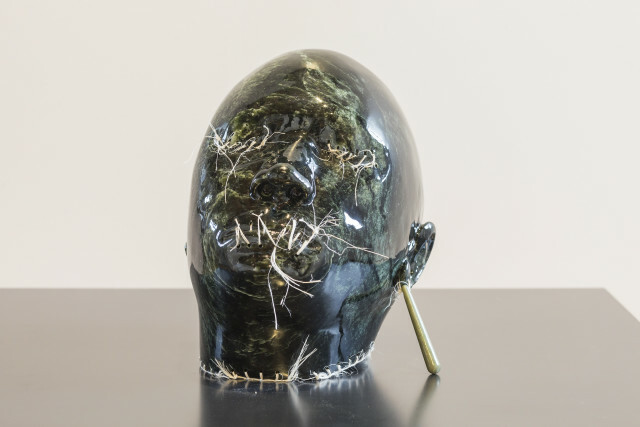 "He Acheulean Angaanga" (pounamu skull), a piece of A grade kawakawa was sourced from Ngai tahu pounamu, Jon is registered as an Authenticated carver of Ngai Tahu, A kaupapa he supports and believes in strongly, knowing full well that the two hapu Kati Waewae and Makaawhio are the stone people, the kaitaiki (guardians) of this resource, this treasure. who's bones are from the West Coast of Te Wai Pounamu, our South Island for which it is named.